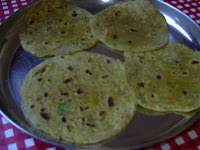 Nice...Other than we do it ourselves, is that this friendly chapati also available at market? What it named "friendly chapati for kids"? Hi Thai, I am not sure whether you get this in stores. 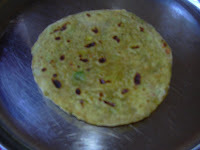 I have seen spinach stuffed chapathis in one store near our house. How r u?Its me Ranjani..ur collegemate..This recipe is wonderful..I am going to try it today for my 3 yrd old son Krishna..Keep'ntouch..